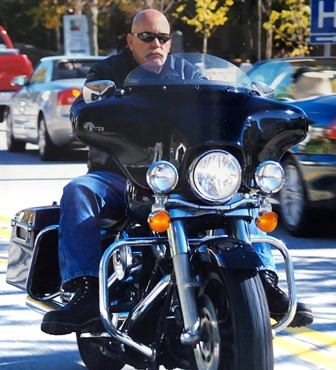 Rick James (64), long time resident of Portsmouth, NH, passed away suddenly March 30th, 2019 at home in North Berwick. He was employed at Abenaqui Carriers for over 20 years and member of the commercial trucking industry for over 40. He was predeceased by his father and mother, Elmore James and Martha (Hunkins) James . His brother Stephen James, sister Catherine Buckman, and his step-grandson Alec White. He is survived by his loving wife of 43 years Lynn James, his daughter Lindsay Dryver, his son-in-law Michael Dryver, and his two beloved grandsons. As well as his daughter Carrie James, her partner Tina White, step-granddaughter Joli White, and several nieces. Rick treasured his grandchildren and loved spending time with them. Their favorite thing to do together was to spend time outdoors on his tractor. He loved spending time tinkering in his garage, working with his hands, refinishing antique furniture, and lovingly teaching and empowering his daughters and son-in-law to take on their own projects. He also enjoyed cooking for his family and riding his Harley. He taught many a man and woman to “fish” and his family and friends were lucky to be able to turn to him for advice or a laugh when they needed it. His one-liners were legendary and he will truly be missed by all that loved him. Memorial Service to be held at First Congregational Church of Kittery Point UCC. 23 Pepperrell Rd, Kittery, ME 03905 at 3:00pm on Friday April 5th, 2019 with refreshments to follow. Flowers may be sent directly to the church.